Awesome job Microsoft, I can't wait for Windows 8! Will there be Mid quality WMV version for download? Really want to watch this, but connection is too slow for this high quality video. Any chances to put a medium or low quality video up? Seriously, Julie is VERY annoying!! What's with the 7GB!! and where's the PC HQ link. Question about the app store: You said our W7 UI apps can continue to be distributed in any way we see fit, but you didn't say that about the Metro UI apps. Can I write Metro UI apps and sell them anyway I see fit or are you (and I'm deathly afraid of the answer! ), or are you going to FORCE us to deploy ONLY through the app store? This is my biggest and an OVERWHELMING worry! PLEASE tell me I can continue to distribute my Windows apps anyway I see fit! Sweet! operating system, just created a VM using Windows 8, it looks good, can't wait to use a touch screen with this OS. Slow streaming speed with only hi-def, 7 Gb download, no option for full screen. Don't you think this could be done with a bit more usability in mind? Why didn't she want to use the bing app? Trying Win8 x86 on an HP Slate 500 and a bunch of issues... First - who decided to leave 1024x600 behind? Most netbooks are in this resolution. Fortunately, Intel's GMA500 driver supports a fake 1024x768 mode so I can get Metro working (squished). However, nTrig's Win7 Drivers won't install even in Win7 compatibility mode. So, no multitouch. This is especially odd since Microsoft is a part owner of nTrig. Something as simple as 'change screen resolution' has become a chore. I handed the slate to a collegue at work and watched him try to operate the system and it was immediate that there's a serious lack of 'what to do next' cues. I had the same experience with the Playbook - if you don't know you have to swipe in from the bezel, you'll never guess it. Another thought - I can see this on a tablet for 'casual' use - this is the iPad/Android solution. But for a desktop, I'll probably not want to be in this mode much. How about Win7 mode for desktops and non-touch laptops (with Metro apps as a gadget layer or a sidebar/screensaver mode - and Metro for tablets as it is now in Win8. For dockable devices, switch modes when you dock/undock? My use cases for desktops/non-touch are VERY different from those for tablets/touch devices... being shoved into touch mode (even though you can use a mouse and keyboard) seriously slows me down and just feels amateurish - toy like. Windows 8 probably is the last "big system" from Microsoft. i installed Windows Developer Preview 32 bit onto my old Dell Dimension E310 Desktop and it is running well, it actually increased my graphics memory from 128mb to 256mb, keep on rocking it Microsoft. I think Steve Jobs is a much better presenter. There should be an option to install Win8 without metro on desktop since it's a complete waste of screen space and time on a big monitor. Windows 8 looks great, nice job Windows team! I did not hear Steve mention if F# will be included in the native supported languages on Windows 8. 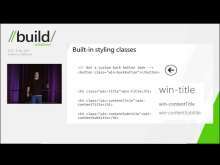 Can someone confirm if F# will be a first class supported language just like C# and VB.Net will? I got so excited that I tried to install the developers' preview on my existing tablet (ViewPad 10, currently running Windows 7) using a bootable USB, per Microsoft instructions. The installer complained that the device has no CD/DVD drive, and will have to abort the application. Wha !?! So, the Windows 8, the Tablet - friendly Windows 8 expects a CD/DVD drive on a tablet?! Am I missing something here? What happened to the nice Silverlight version of yesterday? This HTML5 version doesn't work at all (IE9 on Win7 - go figure), and the MP4 versions will take hours to download. The SL version worked flawlessly! You can get the NTrig working by finding the driver installer outside setup package. I was able to get the driver installed but of course not the full software support. I am pretty sure n-trig will release the full driver for Windows8 when the time comes. only half an hour in the presentation. i can certainly see people getting into the metro style UX. especially as how they'll have no choice once retailers stop selling win7 devices. i'm sure i can default to a sane UX that actually allows productivity.... like letting me not care about docking apps and instead just having 9 of them open all at the same time and instantly viewable. i think 10-foot interfaces and tiles are great. for htpc's, phones, game consoles. i know there are users that expect to jump on and jump off right quick too, perfect. for those who aren't so jetset, unfortunately, i can imagine minority report-esque arm fatigue, sometimes i end up at a computer for 1+ hour... who do i sue? granted, i may be going of the deep end. but how far is MS swimming? you've wrapped the zune interface around your flagship product, then basically showed off a bunch of 'apps' that for the large majority seem to require or at least make major use of network connectivity (have you seen the broadband penetration for the majority of the world, the usa is not the only group of peasants) and haven't exactly shown us how this is doing anything current tech doesn't do NOW. i mean you couldn't just release win windows 8 media center edition or whatever? cause that's what this is, plus 'apps'. i know it'll sell-- between true adoption, new hardware bundling, and poor choices; it may even sell well. i just can't latch onto this carrot. what problem is this solution solving? you've thrown a slick UI on MVC 'apps' that are basically passing data between each other? that would be so cool, if it was automagically sucking the data out of legacy apps. it's just utilizing a feature that was explicitly created for the purpose and a large enough shinytoy has to be thought up to get the marks to buy into it. and stop mixing up apps/applications. devs know the difference, and they're not often terribly fond of blurring the line for the sake of buzzwords. this makes me feel worse than pre-vista, honestly. granted, still only half an hour in. you may win me over with some insane wow. win me over MS, i WANT to be won over. prove me wrong about this and right about defending your product decisions for the past 10 years, please. The new OS appears awesome. The UI is a little blocky [square], but that may just be a personal preference. I'm happy that I can build apps in C#. I'd like to see an example without using expression blend 5. I can't wait to try the Developer Preview! Quick Vote: Does it bother you that the speakers beg for applause and stop speaking even when the applause isn't intrusively loud (to encourage more)? @Jeff Lewis: you're absolutely right. The UI is almost exactly the same as Zune's. I never bought anything off of the Zune UI. In fact, I hate the blocky squareness of it. I found it difficult to find what I was looking for and when I did click something it begged me for money (similar to Xbox Live?). I hope Windows 8 just lets me use the apps I bought, like a new game, without having me peruse through apps they want me to buy. The same thing goes for Windows Media Center. Take me to the stuff I have, and the stuff I can get for free, then try to entice me to buy it in a non-intrusive manner. The demos are excellent. Liking the overhaul of Windows shell. I don't know how it will be with mouse and Keyboard. I really want to watch this video. But it is steaming very slow. I have a 4 mbps connection and never had problems streaming videos before.. why is this video 7.4+ gb? Am i crazy or something else? It is very tempting to get an Android Tablet or iPad, but believe it or not, I haven't gotten one in the hope that MS would soon come up with a trully mobile OS. I had seen W7 on an Acer Tablet but I wasn't impressed. It'd be nice to have more than one hardware to choose from. I consider iPad as an entertainment device. Only Android tablets pose a serious contender against Windows OS. Form and Function used to do the trick, but an App Store is a must-have now to attract the younger generation. Sleek styling, Touchscreen, Processing power, security, and a lot of useful and not so useful but fun and free Apps should bring MS back on top. I used to think that I would be satisfied by just watching Microsoft's demo videos. But the moment I read that Microsoft was going to release Windows '8' 'Developer Preview' to the general public, I did not wait to download it immediately. My PC is now running Windows '8' 'Developer Preview'. Not that I do not appreciate Microsoft's efforts to give us high-quality demo video; > 7 GB for a video of > two-hour length is indeed a very large file. Usually I do not bother to consider downloading smaller but lower-quality video. However, I do realize that not everyone has good enough speed and bandwidth to download such a large file. It's just as Microsoft said, what has been shown, even in this lengthy and large video file is merely a tip of iceberg. From my brief personal experience, Windows '8' is far from being ready for commercial release and I'll definitely not recommend it to ordinary users. Still, I'm glad for some of the progresses being made. I'll use all available means to inform Microsoft and the others about what I think of Windows '8', which will ultimately benefit billions of people including myself when the product is finally 'done'. Is the stream video also 7.5GB in size????? That's insane. No compression??? If I was WebOs I would be preparing my lawsuits, this is so much like WebOs. Anything is better than an IE7,8,9 forget Chrome which was way better than all those. Our minds can't be trapped, fixed thinking may not start a new era. The voice of the presenter is horrible! I'm just waiting for him to go "and this one time!.. at band camp!" At first I didn't think MS will be able to pull off combining Metro UX and classic/traditional desktop UX, but hell yeah, they did it! And imho, Metro UI is the best new UI.. Cheers Microsoft! 500,000+ downloads?! So there are more people with W8 developer preview version than Android tablets? Connect to a virtualbox vm via remote desktop, you get full screen, or any size you want, with a free mousy pointer too! On the useability front - waaaugh! took a while to logout and then shutdown. will have to see it on a tablet i guess. The guts look like 7. You won't be able to charge as much as you did for 7 MS - just a heads up! Developers, Developers, Developers... No all developers can go to the event. Some of us have to stay behind to support the Windows platform development, while our peers go to the conference or stayed out since it sold out. It would be nice if registered MSDN subscribers could buy the hardware from Samsumg to start developing and testing on it ASAP. clean partition on my son's "old" Acer Extensa 5420 Windows 7 laptop. I'm sorry to inform you all that NONE of your Metro Apps are working! I then installed the same build on my own ThinkPad T61, where it's OK.
Radeon Xpress 1250, 15.4" WXGA (it only runs Windows 8 in SVGA + XGA). Any Ideas or drivers to solve this? - I've run Windows Update No Luck. I think your (new) MP4 and High-Quality MP4 link is reversed above. It give me a 633 MB vid for High Quality and 2.8GB for MP4. Hmm.. where's the 7 GB vid go? This is a disaster in the making. A UI that suits a phone doesn't necessarily match a desktop. Real Estate is key. Now they are having these oversized widgets (eg a large widget with the IE icon) that take up so much real estate is crazy. What on earth is microsoft thinking. wow! this is crazy cool! the Metro UI just looks amazing, oh man, those who got one of those Samsung Windows 8 tablets are so lucky! This is it! I'm going to buy Windows 8/slate tablet on its first day! 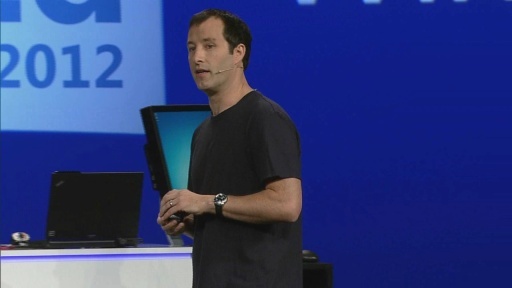 WP7 + XBox + Windows 8 + Windows Live services, talking about completing an ecosystem! Lots of room for growth here, especially for software developers like me. Love the live tiles on these things, the Metro UI looks amazing and very intuitive, makes icons look antiquated and so wastefully irrelevant. Smart move by Microsoft! Cheers!!! I LOVE the path Microsoft is taking here, everything just looks cool and immersive. The Metro touch really creates that distinction, while still able to perform as a functional extension of your app, it's awesome! Hopefully, Microsft would be able to iron out all those bugs, I love the changes made for the traditional/desktop experience, I'm glad MS didn't abandon it at all but did a synergy w/ Metro. This finally, would be THE Game Changer! You did a nice job Windows. It looks great and I'm going to install the developers tool. Is anyone else having the same problems that I am trying to watch the entire video? I cannot get it to play without locking up and stuttering on any format. I even downloaded it and tried to play it while it plays, whenever I try to actually seek to the last played position, I get an error in WMP. Windows 8 is looking great. Cant wait to get my hands on a working Beta. Hopefully that will be soon. Keep it up Microsoft you guys are definitely doing a great Job with windows 8. Awesome presentation. The new Metro UI is good but I think it needs more polish. Please make it possible to move the mouse to the side to scroll and to pull behind the apps with the mouse to scroll. If you're like me and like to be super rich and like to share your super rich experiences with milio...sorry, HUNDREDES of billions of metro style people then that's just so super great! From what I have seen, Gamers will be disappointed... Believe it or not PC gaming is NOT dead. The interface is clunky and the start menu is just bad. An OS should be easy and fast to use, it should not direct you to a whole new "slate" of buttons. It should never keep the windows open when you alt-f4. You should not need to swipe up after you log-off. Finally you should be able to shutoff the computer when you are logged on! If you really wanted to make a good and interesting product you would get rid of your silly, yes silly, bindings on Windows 7. Signed themes? really? Windows 8 a No-compromise OS, what more could you ask for. Man we are siked and ready, Microsoft + Windows is simply the best that ever did it. Windows for life people; Go Microsoft Go! Job well done. Disclaimer: I'm a Sr. dev working in e-commerce out of Chicago, no way affiliated with MS directly, meaning this is a regular dev who just watched build and think this is amazing. "This is a disaster in the making. A UI that suits a phone doesn't necessarily match a desktop". You obviously did not watch the entire video when you made that statement. It addresses that and there is much more. You don't have to use Retro which is what your statement is talking about and assuming things that are not correct about Windows 8. The traditional desktop is still there which is an excellent move...plus MS improved the traditional desktop a lot more than their typical "OS" version upgrade. So many of my other apple friends give me the "oh it's just the same stuff MS always does". Again, they're not even watching this...they're just blagging their mouth at usual and can't comprehend or even think that MS might have changed and might be changing radically for the good in UX. To me this is a great product going forward and puts a lot of companies on its heels. At least at first glance I think MS is back int the game in the OS and in fact might be slightly ahead now. again just an opinion, think what you want people. "Looks good, bit patchy, and 'It just doesn't work" yet! Think i'll wait for Windows 9"
yea um, it's a preview. You expect bugs. Get a clue. Having watched most of the half-wits at my company latch onto the iphone and ipad like it was greatest new thing since sliced bread, I held my breath. I even owned an iphone for two years because it was the best thing out there, but I was still holding my breath. I now have a Windows Phone 7 with Mango and it blows the useability of my iphone out of the water. Okay, good steps, but what is next. The phone was LATE to market, and isn't catching on very fast. I want to develop for it, but can I spare the time for the small market??? Finally, I can breath again!!!!! When they showed Win8 in June, I thought to myself, okay good move, it will be an ipad competitor, but too bad it won't be out for like 2 years. Now, a few months later, and we already have a developers preview?!?!?! Thank you Microsoft for reminding me that I am not the last sane person on this planet. I am very excited for this. I think it will be exactly what we need to bridge the new tablet market back to the desktop, where we are still working all day long. One request though: Give me XNA please!!!!! I want to make my game for WinXP, WinVista, Win7, Xbox, WP7 and now Win8. That would make many of us XNA users out there very happy. I guess I missed the date of release... What is this date? Does anybody know? 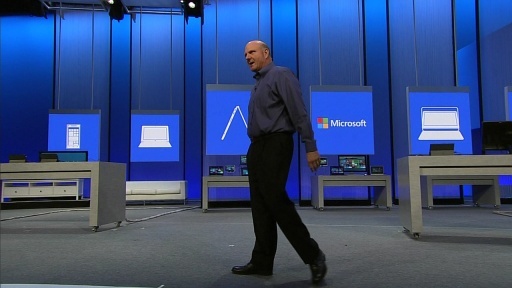 RC or RTM when will be available, did Mr.Sinofsky tell about? where you can switch the currently running programs running in windows), except this round start button with Windows Logo, have several files or apps icons surrounding the start button that appears from center when pressing the start button at center of screen. When you pressed on one of the surrounding icons, they display the content within that icon and they can move around to show more apps within those icons in 3d flipping altogether as you browse through the content. Think what change would that made to new Windows! More Easy and interactive visually than going flat from screen to screen. W8 is a little like Media Center overtaking the main desktop display. This new operating system runs so smooth. It is a dream will make mac look pre-historical. 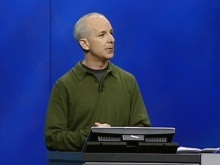 Aha, finally found the Keynote video. Need to watch the whole thing and couldn't watch it on the build site. please please please add a full screen option for apps like in Lion!!! Although they present a fairly innovating product. Microsoft just doesn't seem able to give a proper presentation as Apple, yes I said it...Come on people send a clear message, don't be all geeky, be more of the marketeer. Sell the bloody product! The links for HQ/LQ MP4 are switched; HQ MP4 links to a 700mb encode while the regular MP4 links to the 2.8gb file. @Nikolay Klimchuk Zune is awesome and I think the best use of Metro UI, the rest of this seems a bit off from that experience. But you know, the fonts and sizes on Metro UI could be quite a bit better and might be nice if they used the current Windows standards for which font. It would be nice if its easy to change the themed OS fonts used on Metro for sake of sanity. @runewake2 there is good feedback here I hope MS makes some effort to make it a bit more fluid and intuitive. You should also go to Windows 8 forums and post. Not as intuitive as I had hoped. Really a bit of a learning curve to using Windows 8 on a typical PC. I don't like how things like Clock go away when using a App. The multi tasking seems harder to do?? I have already switched to Windows Basic to help resources. But having issues with a Microsoft Wireless Mouse Keyboard Combo. As far as Touch screens for desktops. Who wants to keep reaching to your screen instead of using a mouse? I have to agree with Steve Jobs. Touch does not belong on a PC desktop. I am not even sure on a laptop. But at least the screen is closer. Fingerprints are my gripe. Who wants to have to keep cleaning your screen? He says he will be "pissed" if people do not clap? What kind of crude poddy-mouthed people are working for Microsoft? And calling sidebars "charms"? Is that a reference to the occult (like "wizard")? "Charm: from middle English charme, magic spell, from Old French, from Latin carmen, incantation." This presentation really turns me off. Worst presenters I have ever seen! I install Windows 8 Developer preview on VHD drive and I test it. I suggest add warsaw stock market indexes to Stock widget and Metro Stock icon. What will be the official name of Windows 8? Because it has no Windoews? The high and low quality MP4 download links are reversed. The low quality link points to the high quality content and vice versa. windows 8 is the new windows vista... after six months from the release, windows 8.5 will be ready! Well the Windows stuff run much better on my machine than Windows 7 , a few issues you expect like a crash in a sound driver a few days ago. Remember windows 8 is not built for now but for 4-5 years from now for most people ( eg many still run XP) , prob 1-2 years till release. The Metro stuff is strange and looks interesting not sure . One app on a 24" monitor does not make sense . Though their is no doubt that PCs and tablets are blending in a few years you will have what is now a core 3 tablet with 10 hours so why have a PC ? The only interesting thing is will people have servers at home to offload processing and storage or will it be 100% cloud. Awesome. but very sad my pc not compatible w8. Don't be so stressed guys, it looks really cool. Can't wait to use a touch screen to do programming with LabVIEW on Windows. I just want to know when whould you published the final. I've been playing with the Developer Preview and it is awesome! An unsuspecting end-user might think it was a Beta release. Still lots of room for improvement, though. But I'm VERY CONFIDENT they'll make it absolutely aamazing! With Windows 7, my computer booted at say, 10-15 seconds on average--with the Developer Preview, the lock screen appears after 5 seconds or less. I wish Zune would be the Media player instead, because its intuitive Metro design is really great. Maybe Microsoft could just add features to it so that it could replace Windows Media Player. My congratulations to the guys at Redmond! Windows 8 9 or 10 microsoft always stealing ideas to other like touch and full screen apps in mac osx lion, and 128 bit architecture is planning for Windows 8, today's processor have not meet 128 bit yet and microsoft talks about windows 8 will be 128 bit, this is totally insane. It should have been metro for tablets and desktop for desktops. Both in one is cool for about 10 minutes until you try to get work done. I'm sure the final build will be different than this - whenever/if it launches. 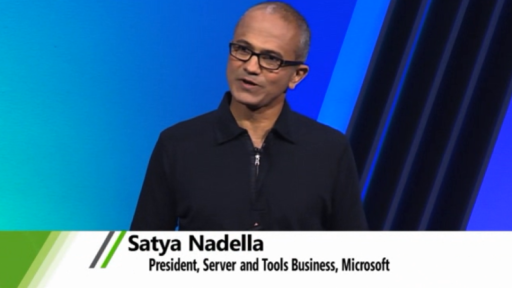 This is a really awkward time for Microsoft and very unpredictable for us developers. For now, I'm sticking to the Mac and iOS App Stores for development and will keep an eye on this effort as time goes on. Any idea when the PowerPoint decks from any of the tech sessions will be made available? Who says Windows Dev Preview can't be uninstalled? The stylish UI and new features are great! The game changer, if successful, is that Windows 8 is not device-specific and allows developers to use their preferred coding language to make apps. I've been using the Preview in my Virtualbox hosted by Ubuntu for quite a few days now. Just love the Metro UI now without experiencing the Touching parts! Good job MS! after a good few hours exploring windows 8 ,really it isn't a new os. the green menu home screen is been modelled from the windows 7 phone os and apples launchpad feature with the full screen apps. when using the desktop side to it, its hard to find what really is different from pervious versions of windows meaning vista and 7 .I don't doubt that new features has be added ,also a lot have been redefined to run better, however i don't think it is going to be worth the hundreds of pounds or dollars they're going to charge for this upgrade. Whether or not you can see the video full screen depends on the capabilities of your browser and computing device. If you run Safari you can see the video full screen. Yes, HTML5 has full screen video if your browser supports it. Use a modern browser or download the video and play it in iTunes or any standard video player. today i install it . i think it is very better in comparison with win 7.
thanks alot for your attempt. Its a developer preview. unless you have thoughts on the developer environment, positives or negatives. you could just STFU. if you hate this already. then you just love the other brands and hate technology. And pardon me for this comment. Ful screen works fine in Safari on MacOS . Can these videos be added to iTunes for downloading to the iPhone? I would like to know are you going to cut the B*lls off your apps like the so-called "goody two shoes" apple did and not allow adult content? Or are you going to let your app market be a truly "open" app market? @BradGroux: Brad I LOVE your 'Blue Steel'. Now give us 'Magnum'! Is it possible download the slides that we can see in the Keynote? Hi guys i can't see my DVD Rom in the Windows Explorer. I can't watch my movies.. Excellent information. Very excited about Windows 8. Thanks for making these available on demand for us who were unable to attend the conference. I will be working with Windows 8 right away as I have with all versions of Microsoft software. Thanks for everyone's hard work. This sounds fantastic, should even help global economy! Very excited about Windows 8. Updated today now ALL GAMES CRASH. Originally a WIN7 system.... NOW WHAT???? Watching win8 operate flawlessly on such a wide range of devices, even at such an early production stage, something came to mind. Wouldn't it be awesome if the new XBOX could also support win8, or even ship with win8. so you can typically use it as your gaming/multimedia console, but at the same time be able to use it as another computing device to read news, social apps, or anything else. Kinect will also be right at home with Metro style apps. - Can't select which interface to startup Win8 in. The Metro interface is a complete waste of time on a real (i.e. - desktop) computer. If you're playing around with a toy (i.e. - iPad style touch device), then Metro is acceptable. I can't watch with wp7, what can i wait I win 8 ? UMMMM... Just a suggestion and a thought... Windows 8 should be renamed... When we start texting, blogging ect. about Windows 8 it is abbreviated W8... AKA "WAIT"... or "Weight"... I see a real anti MS sentiment already beginning... How about Windows 2012 or something other than.... W A I T is a terrible name for an operating system! Not knocking the product, but really, world-wide statistics (August 2011) prove that Windows XP use still tops the combined use of Vista and Windows 7. It's that darned interface. Get rid of it. Fascinating new OS. But could you at Microsoft please be kind enough to restore the capability to use a most valuable productivity feature that Microsoft killed off in Vista and Windows 7: the pan-and-scan virtual desktop (PSVD). By changing the default graphics subsystem to WDDM, Microsoft killed off the ability to set up a PSVD which you could do in Windows XP (using the XPDM graphics subsystem) with ATI Radeon video cards by setting the resolution real high in Display Properties | Settings - like 1600 x 1200 and then going into Advanced, Catalyst Control Center, Monitor Properties, Attributes, and unchecking "Use Extended Display Identification Data or driver defaults." Then set your maximum resoultion at 800 x 600 and maximum refresh rate to 60 hz (for LCD monitors). You'll get the larger 1600 x 1200 desktop, but your icons will be large and you can open your programs so a full page is visible and large enough to actuallly read. Your actual desktop will extend beyond the dimensions of the monitor -- just move your cursor to the edge and the screen will move. This gives you a desktop 2 to 4 times larger than your monitor -- and you rarely have to use scroll bars within applications. So good folks at Microsoft, please restore this ability to your new graphics subsystem. Please! I enjoyed seeing the next Windows demonstrated. Windows 7 and one location to go to a task and connect to another appears to be further improved in Windows 8. Merging apps and the security of personal information appears to move away from end user. Switching from Vista to 7 changed my computing life, so I cant wait until Windows 8 comes out!! Before Vista I posted in a newsgroup that Windows(windows) should be any color. Then came Vista and then 7. Perhaps that makes me solely responsible for 7 in terms of the color? Lol. Awesome! I can't wait until Windows 8 comes out! I would try the Developer Preview, but I want to wait for the Beta or RC instead - it would be much improved. And, wht if you want to have more items on your desktop? Also, what if you don't have a touch interface? It's more like a Tablet than a PC. Personaly, I Hate things in the desktop, I like it clean and if I put something in that area its because I need to work with it, if is a common program, I keep outside the desktop. I have a Tablet and Laptop, I like the tablet work like a tablet and the PC work like PC. It's good IDEA have a less weigth windows 7 but with the same or more capabilities and a special windows for the tablet, the tablet and PC have diferent hardware and it's logical they have diferent OS. Eric I go back to the days of TRSDOS yes Radio shack. you could not have summed up the Microsoft timeline history better than anyone. Microsoft comes out with a good OS and then screws people in between with a lot of sugar coated crap. ie Milenium, Vista ect. jclee, you do understand this IS the DEVELOPERS PREVIEW, really not even close to Beta yet more along the lines of Alpha. We who are beta testers understand the term "BUGGY" but we do it because it is a thrill to work them through and see what the deveopers do to fix them. Right you are on the download speed. I have tried 3 three times to download and finally on the third I got it with tons of net-off and net-on sessions. Went to load it and it was a botched download. It's chappin' my hide because I have to now spend another 2 days downloading it. I got the program "FreeDownloadManager" from the Technet bloggers forum, and it was supposed to guarantee the download would be intact. Not so. Any help would be appreciated. 5.59 Gigabytes in size to download? very funny! After Seven, easy name again and Client side more easy using new Windows 8. Congralations all Windows 8 Team Workers. there are some interesting comments in here. I actually have mixed felings about this release. I guess it has something to do with the way this was presented. Anyway, i am not going to bash MS. Some facts are true. Like the fact that Win ME, Vista sucked Big Balls. But Win 98 SE, Windows XP and Windows 7 are actually good products. I am going to try this before i decide if this is a bad or good thing. Microsoft, thank you for your efforts but keep in mind there are people buying and loving your products as i do. If you * up again with this version i am going to abandon you. @Michael Dzura: Yeah thats a good point you make there micheal I wonder about accesabilty concerns too with touch computing, I also wonder about RSI surely holding your hands out in front of you or looking down for 8 hours a day is going to cuase medical complaints. I assume someone smarter then me is working on solutions at the moment. @MOM2Many:reformat and put Windows 7 back on and use this as an example for why installing a beta version of an OS on a computer you actually want to function properly is a bad idea in the future. @iOSGrail:or for one of the numerous RC versions or shock horror, actually buy a completed product. @Kenny:yeah totally agree,personally i dont care what my OS looks like, but how well it works and how much resources are consumed in the process. It amuses me that the worlds fasination with being "beautiful" exists even in IT. It is an advantage as new technologies extend toevery day and is good knowledge and we appreciate it here in Angola, 90% of people work with Windows. Let's wait to perform thedownload and we will try better. Note 10. This doesn't work on either Chrome or Firefox. For Firefox I seem to need Silverlight, for Chrome I just see blackness. Microsoft, this is one of your biggest problems - getting on with other kids at the playground well. Come on, I just wanna see the video. Is it only for tuchscreen ??? I rely like to have ny normal Tast / mouse !!!! A lot of talk and not getting to the points. In the video people got up and walked out early in the presentation. I like to here what the product can do and how it is different from Windows 7. He is big on the touch screen and couldn't talk enough about it in the beginning. I like less memory used. I did notice that somethings didn't work in the presentation. I like the quickness, interaction, the link with explorer and other apps. I would be willing to test it on my laptop. Windows 8... I'm seriously waiting for you. i like microsoft os very much so when i heard new os come out i am so happy.but when the new windows 8 will be available? 1) Someone was complaining about full screen mode. The correct solution is to install mintos and open this video and hit F11. Boom full screen. 3) It's funny to think of an os that s only on it's 8th, 10th? Distro as being progressive. They should try switching to a 6 month release cycle and seeing how that works. 4) "Internet Explorer 9 is the fastest growing web browser in Windows7" Proof that you can prove anything with statistics. What is there a virus that installs IE9? It's easy to get your product installed when every computer made that isn't a mac comes with your os installed, and you can push updates to those computers at will. I know I know people have the option not to install it. But they have the option not to install it in the same way as you have the option to not have your oil changed for free when your mechanic fixes the hole in the bottom of your car. 5) It took 3 years for Windows 7 to be more widely used than xp? How long did ti take vista to do that? 6) So this is like pre-alpha, there is a small chance I will eat my words and windows8 will be the best os in the world. But only if we measure it by number of users and unit sold. If we measure it by crash rates, efficiency, number and usefulness of features, and support quality. I'm willing to bet it ranks 4th or 5th. Windows looks like it would be great for my tablet. HOWEVER, for a PC user it is utterly horrible. I dont want to run full screen apps on my PC, I want a start menu that I can scroll through all my installed programs. I dont want windows explorer to have that bloated menu bar that wordpad/windows live mail/paint/etc has. The Metro UI looks like it would work great for touch computers, but if you are using a computer in a work environment, trying to be productive this new UI is not going to work at all. If MS does not change this, I will not be upgrading to Windows 8! At the company I work, we created a tag line a few years ago, "REMEMBER THE BASICS". The thing that I loved about DOS was that you (the user) had full control of what the OS was doing step-by-step through AUTOEXEC.BAT, CONFIG.SYS, etc. It was a pain in the @$$ for the non-geek, but gave CONTROL to the user; after all it is the user who bought it! Ever since then, Microsoft has tried to think for us, and make all the tweaking controls hidden deeper through each new release of Windows. I have to admit, Microsoft has been an avenue I have used to make some money repairing computers. They have produced the least expensive computer for years. Apple has the right idea though, and they are superior when it comes to reliability and SUPPORT. Holy cow, the support is amazing. Got a USED iMac that was 1 1/2 years old. One of the happiest days of my life, seriously. Everything simply worked. Only had 1GB of RAM, which I was concerned about, but after it booted, only consumed 250MB! I have nothing but good things to say about a Mac. Very high quality. So here's my point... My Mac was killed by an honest mistake of my wife attempting to hook the speakers of my stereo up to the Mac but instead connected a laptop power supply connector to the 1/8 audio jack that was plugged into a USB port (for iPod shuffle). One of the saddest days of my life :(. After taking it apart, looking for a fried card, etc. I resorted to calling someone because I couldn't find the problem. All the computer shops wanted $50-$60 to diagnose the problem, which was understandable because that is someone's real time being spent. Someone suggested to go to the Mac store, so I did. I walked in the store, and was immediately approached by an employee. He scanned the bar code on my Mac, and set me up with a Genius (tech) employee. They asked me a few questions and took my Mac behind closed doors for about 15 minutes. They couldn't find the issue, and said it was either the power supply or the logic (mother) board. At this point I was better off knowing that, but then the icing on the cake: they kept it for about a week, and further diagnosed it. Sadly, it was the logic board which costs $600 (ouch). I can't afford that, and if I could I would simply by another Mac, so I told them this. They were totally fine, and I didn't feel like a scum bag by their judgmental words or attitude. They even offered to remove my hard drive so I could pull my data off it. Few people know that you can actually connect a hard drive from one Mac on another Mac and completely boot from the second hard drive. Try doing that on a PC, and because of all the hardware manufacturers, Windows can't handle it. Not that this would be a common occurrence, but saves hours of time when stuff like this happens. So, to finish my story, I didn't pay a penny to Apple for all they did for me. The iPod Shuffle I mentioned in the story actually had a glitch that wouldn't allow it to charge. I owned it for under a year, walked in to the Apple store, and in 10 minutes I had a replacement. My point to all this is that Apple is really connecting to its users. I feel like part of the company by the way I am treated even with a device that is out of warranty. Hats off to Apple. I used to hate them simply because there wasn't a "Command Prompt", but they have come a long way with Steve Jobs' innovation, and this weird stuff Microsoft is doing is just continuing that movement. This Windows 8 (LOL @ W8!! Wait, is what I am used to with MS) is no doubt a huge sign for me that in the next few years Apple will take more of the market share. It stinks, because MS really had a good thing going with Windows 7; I was really shocked on how well of a job they did. Bad move with W8. I don't think I ever saw a worse UI from Microsoft. I hated the Windows phone because of the UI. Bring back Windows classic and leave UI development to a company like apple. I am looking at this for corporate use. Had it for a couple of days. They way the GUI is set up is not going to fly. Positives--it appears to be faster than any previous MS OS. I am impressed with this. Negatives--the tap and flick mentality of the GUI is not going to fly in corporate america. Get rid of the fancy animated screens and put some substance and familiarity in. We would never accept an OS where we had to retrain all of our techs and task workers just to use it. The 5 min comment by my techs on this after seeing it is "This is fricked up." [not fricked by the way]. maybe its time for 2 versions...corp and consumer. I am curious... what happened to the "Windows" in Windows with 8? There are no windows that move over and on top of and atound. Sure you can put them side-by-side, but that is more like slicing up the screen. My working for all these years since Windows ever came out all works around being able to layer windows and flip btween/resize and work with them. Also, the desktop sadly looks like the clutterd mess of icons that i try to discourage fro my users and have always tried to keep neat myself. i want w8 to be good but they signs are not good - for me at least. the embedded video repeatedly asks me to install a later version of Silverlight which i did do the first time of asking. thereafter it still asks and then unsurprisingly fails the installation because i already have the latest version. so i tried to download it and it hung media player. this is a square, company pc patched up to the hilt and virus protected with only company-approved apps on board. i know this isn't w8 but it illustrates the misgivings some people have regarding Microsoft. I noticed the language bar in the system tray as from 1:35 in the video. Up until Windows 7 during Setup if you'd choose input Dutch and Keyboard US International, an additional input US International and Keyboard Dutch is installed. To prevent a switch to input US and Dutch keyboard lay you have to delete the Dutch keyboard layout and input US. Is this issue adressed in the Windows 8 setup? I mean if i choose input dutch and keyboard US International, that's it and no more. The Windows Developer Preview works excellent on my low spec desktop. Apparently, it doesn't require a lot of power to run. My desktop has only a 1.5 GHz dual core CPU, Win 7 pegs it at times. Even with Windows Defender running, my CPU hits only 60%. BTW, I like the new AV that ships with the OS. Hope that the beta is released soon! @Ricardo Ferreira: You're not even remotely interested in being correct are you? I won't even bother to point out URL links to The University or Toronto that invented it in 82, The companies that attempted to to make these since they first fantasized about it on Star Trek in the 80's, Microsoft Surface, which was way back in 2004-5 (two years before the first iPod touch), Or the many companies that actually made the components Apple used in each of their products. I will say, however, that there is a reason you're called a fan-boy. There is a reason that term is thought of as derogatory. The reality (beyond the obvious) is that no one really cares that you feel the need to justify your purchase so you don't feel the need to move on. We're already onto bigger and better things... that's why the rest of us are here! really super cool ... what about presentation Windows-8 in Germany. I can't wait to see Windows-8 live in action. It's very wonderful,I have used it.though there are many words I don't know. I am impressed with the potential of Win 8 - picture driving Metro using Kinect (and avoiding all those nasty fingerprints in the process), and realizing the dream of deployment to multiple device classes (desktop AND tablet AND phone AND smart device). - The lowest-common-capability model for Metro seems like a poor approach . IMO, the OS should be able to incorporate features according to platform capabilities. As numerous others have commented, a humongous display (or two, or three) shouldn't be "dumbed down" to support only what a tablet or phone device can do. - The lack of visual clues in Metro ("I see this - NOW what do I do?") is painful, at best. I foresee millions of Win 7/Vista/XP users uttering one huge, collective "huh??!!". - "Search" is the only way to locate many programs. Sad, sad.... the Start Menu is but a shadow of its former self. And, being forced to transition back and forth from keyboard to mouse on a desktop machine isn't exactly "user friendly". - The Start Menu/navigation is also painful. How many users are going to be frustrated by the search for something as simple as "Shutdown". - No Q&D way to terminate a running app without being forced to Desktop/Task Manager? Nah. - No IE plugins in IE11 0n Metro? I can hear the screaming now. Even if sixty-some-odd percent of web sites have non-plugin fallbacks, that still leaves thirty-something percent that DON'T. Pity the poor end user - and make (WinRT-compatible) plugins optional, at least. - Protogon/not-Protogon, anyone? If Protogon is the embodiment of WinFS or WinFS-Lite, how does the developer community bring products to market with a DOA Protogon in the Dev Preview? Is Protogon a pipe dream, or a real "feature", in Windows 8 (and what does the feature consist of)? Wow, I am extremely excited and hope I can teach myself enough to contribute to the next gen of Windows! @IloveApolishRAPmusic: Not the "last" but "latest"
My problem is how the windows explorer can't treat the rar files. And my other problem is how when i want to watch a english movies the WMP can't treat the subtitle and The Windows Explorer can't see my DVD ROM. Hold ctrl and use your mouses scroll wheel to enlarge video to Full Screen. I saw some of you commenting about that. @Michael Dzura:you can use keyboard with windows 8. I am having a problem while playing any video file. audio is ok but it plays video like in slow motion. skipped Windows 95 and Windows Me, then used for a long time Windows XP, skipping Vista too. Now I'm on "7", and will skip the "8" for sure. Does all of You share pictures and buy apps? Nothing else? Electricity it too expensive for this silly things today. I used of Windows 8, is good. Very good! Hello Microsoft... you disappoint many of people including me with your new "metro"... I understand that you need something new to keep the innovation and go with the tablet trend, but windows are windows, if you tell people to only use one application at time, you should rename windows to window. I use Windows because of real multi tasking, i don't want a tablet and i don't care about other people or trends. If you need to make a tablet OS, just make it and tell it it is "windows tablet 8" or something, we are pros and not kids... imagine people working in a big company, imagine administrators or developers playing with this silly metro boxes.. I tested it and it is not very productive OS. I will stay in windows 7 and skip win8-- althought i am a developer and need to go with the trend, but personally i will stay away from win8. Windows 8 is the exact reason why I will be going back over to Apple products. This is a real let-down and I'm sorry to say, Microsoft, you've lost a major consumer. I have used Windows and other Microsoft products from Windows 95 all the way to Windows 8 Developer Preview, but I am no longer continuing with Windows. The simple fact of working on a new Windows release must be encouraged. Let's then use the product for one more week and say whether Windows 8 is up to our expectations or rather a simple let-down. Anyway with all your endeavour towards improvement, I doubt I should be completely disappointed. See you next week for my definitive opinion ! This is definitely the direction Windows needed to take to remain competitive and continue to drive the computing experience revolution. Great work Microsoft! i did install windows 8 on a partition ,with poweriso mounted the iso,s. This windows 8 version still running perfect included red pill installed. Only problem what windows 8 made is that the updates are not working. Atleast not from mine computer. Just waithing for the beta maby then all will work perfectly. i,m downloading now 2 iso files another windows 8 build. Maby the update works then perfectly. @undefined:I can't wait for Windows 8 too!!!! First - who decided to leave 1024x600 behind? Most laptops are in this resolution. The start up process is different, 8 now boots to the start page witch is the new start menu. You would be able to comprehend how to set up your desktop. The start menu is confusing to the point of too much information. There are too many advertisements for games and picture apps that are pined to the start menu. The ability to close the app is not user friendly. The apps like paint have little or no option buttons. As expected with all new operating systems, some printer drivers do not work. The restart or shut down procedure is Not user friendly. It seems that you need to log off manually now then click back onto the log on screen to see the option to turn off or restart the computer. (WHY)? The connectivity of the Internet connections both wired and wireless both seem to work very well. How ever for customers to be able to watch videos online, the adobe flash player must be installed. Also Windows media player has Not improved much as it can not play FLV extension files and real player must be installed as well for this feature to work. I do like the improved security that seems to be included in this OS Microsoft security essentials and windows defender are a great improvement, The fire wall options are great with more functionality. The Internet explorer 10 seems to work with very little compatibility issues. The network and sharing center has less confusing details in it and seem to be more user friendly. Also networking between computers has some compatibity issues but can be easily resolved. Sharing files on computer is about the same as windows 7. I do like the improvement in the internet options that allow the ease of set up for a VPN network. Hi Developer/Marketing, I suggest that the virtual keyboard should be resieable to fit people's hands/fingers. everyone is unique, one SIZE can't fit all. The Split keyboard is a good idea, but if that Split can be resize, that willbe the best design. Same thing as the full keyboard, please make it resizeable. Thank you! I suggest that the virtual keyboard should be resieable to fit people's hands/fingers. everyone is unique, one SIZE can't fit all. The Split keyboard is a good idea, but if that Split can be resize, that will be the best design. Same thing as the full keyboard, please make it resizable. other languages ​​will come out to the windows after they are finished? and will be installed as windows 7? dismissal of having completed the test date March 8, 2012, will have to purchase a new license with the updates already provided to activate or licensed will have to reinstall and update already given by the company after Windows or administrator system? I really Love this new OS ! I can't imagine winning over a lot of developers at first as they are used to jumping on and off their platforms in a blink of an eye , This one will take a while to become familiar with . I am really happy about trying to join all the apps at the boot as I think this system just needs to remain on . It seems that Microsoft has hit one out of the ball park with Win 8 Dev. Preview ! It seems to beg for the user to try to do something and it begins learning immediately ! Anything I try to do , seems to induce the system to help me do it BRAVO Microsoft ! I really can't wait to get into this OS and work to Fine Tune things . Now all I have to do is come up with a really nice touch screen monitor and I can have the best of both worlds . An intelligent consumer OS and a dedicated platform for the latest builds ! Thank You Microsoft for letting us all try this ! Happy Holidays ! "I'm going to be real pissed if they didn't clap for that one." I have to disagree with completely chrome free design. You guys have stolen a lot of design inspiration from Google. Google eventually will produce a more feature rich OS and take over the market. 3) Please make it easier to find the "turn off" button. I spent about a decent while before I found that it's actually in "Settings" menu. A bit complicated. 4) Make it possible to view folders such as "My computer" "My documents" and such in the "Start" menu, in a quick start panel and which is important ON THE DESKTOP (as it used to be - don't cut that off - cause otherwise - trying to find the files and folders becomes complicated. 6) whatever the default browser is - Apps screen in the "START" menu doesn't care about my choice and only opens the links in the Internet Explorer and not the other browsers that I may prefer better than the IE9. Please be careful to respect the other choices rather than your software. Without having those 7 points in Windows 8 I feel I installed an internet oriented and pretty complicated OS. Windows7 is much more comfortable and simple in use in comparison with the last one. Hope you'll make some good changes before making a Release Candidate and RTM. I hope you'll make it to be the best Windows ever and not the crappie spoiled one. Wow, I want to cry this is so bad. Having One operating system that runs a Touch interface and a K+M interface will never work. There completely different from one another, who thought about this should be fired. It's like putting a train engine inside a car - there will be compromises no matter what, and draw back's to the plan. An example of this is within Windows 8 - the Metro Style interface is a real pain to use on a keyboard and mouse. in fact I hate it. it's to finicky and is a real gimick. the apps are placed randomly, thus being awkward to find, and it's just too big, to loud, too awkward..
yet when you return to a tablet device - yeah then it works, but heading onto the desktop things become the same as in windows 7... no one had a good point about the TUI in Win7 did they? -So The Solution? Two OS's that have interface with each other. Apple has a good example - iOS and OSX can sync wirelessly through iCloud(there interface),however it's by far not the best. A good thing to have is to let every app on the K+M os to be ran on the Touch OS, just styled different - load a different XML but keep the business logic. So going by the video "Windows 8 is about Touch Screen first, and Keyboard and Mouse Second", so what about the 10's of million's of windows user's out there that have laptop's and desktop's? and company's with £1000's of server's. I'm on the Windows 8 DevPre typing this now. I 100% understand this is not a reflection of the final product. All I'm going to say next is that, Windows is the Main Operating System for Laptop and Desktop's... and now it's not... it's mainly for tablets... So what in god's name are the rest of the 10,000,000 users going to do? run an un-optimised OS made for tablet? then again, it's neither made for tablet's is it? The microsoft must talk with the guys from adobe :) The internet explorer 10 is very performant but i can't play a video on youtube :) the reason is the flash player cause he is not available :) i want to use the flash player with ie 10 to use youtube and others websites . If we go on youtube we can't use internet explorer 10 . For that reason i will change the windows in the future :) what do you think we should do ? how to play the game in the system?i don't know english,who help me? Windows 8 is great, except for a few problems that I've been having with some programs. First of all, Skype is not compatible, or does not work, with Windows 8. This is important to me because I use Skype a lot. It opens up fine, but when you place a call, an error message pops up and tells you that the program isn't working. Second, a program that I use, called NVidia Display Driver also does not work with this version of Windows. Other than those problems with some of the programs, Windows 8 is very innovative, and useful. is all the latop for windows 8 going to be toucg screen? I uploaded to win8. But i can not see dvd rom driver to desktop. What can i do this subject about. Thanks to Microsoft team. Win 8 very good. Good job. I think Metro User Interface is very very very brilliant idea for tablet PC's ever! Good job! Many thanks for Microsoft team! good the windows 8 are a marvel I recommend them to all my friends, it is very good and there you discover new things and he/she helps us. where i can find the starting song of this video? I'm worried about this store approval process. Will mature-themed apps be prohibited? What about "offensive" apps? What kind of "quality" standards are there? I worry any time a committee steps in and thinks they know what people want. If a committee were in charge of YouTube, no viral video would ever become popular, they'd be rejected as low quality or 'inconsistent with our corporate image' or such. Will there be an easy way to put an app on a web page so that windows users can install the app instantly without dealing with the store? Also, what % of each sale does Microsoft take? Anything more than 10% is unacceptable. I can not comment, I have no sound. I had sound before loading windows8 but as of not, nothing. I love the conserne for us poor people this world is hard at least someone is showing compassion.You got my vote.GOOD JOB! OMG - what is THIS??? Is it a playground with ugly plastic toys??? I will try my best to develop some apps for it in the future! Audio engineering is a promising vocation that gives immense possibility in movie, video clip production, sound broadcasting and marketing. Audio engineers use a number of recording devices this kind of as substantial-tech microphones that are required to file even the slightest versions of sound. The normal idea of engineering relates to creating bridges, properties, roads and very similar sort of perform. Most persons do not believe of audio engineering as a kind of common engineering. Nevertheless, it is a person of the greatest paying out jobs and has many effective men and women functioning in the field. Audio conferencing has certainly not had a know-how champion. The sector leader historically was the lethargic AT&T whose once progressive Bell Labs dabbled with internet technologies and then broke apart. The Infant Bells carried on this tradition. As a result, the market has by no means had an innovative advocate. A new breed of entrepreneurial innovators is starting a populist revolution.